Forgo the safari jeep and instead embark on a peaceful horseback safari through the Magaliesburg Mountains. Riding a horse allows you to get deep into the bush, where normal vehicle-based tours can't reach. 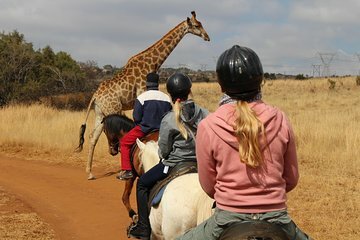 Your guides will point out wildlife such as giraffe, kudu, impala, wildebeest, and zebra as you ride.